You can hear Don Helms' trademark steel guitar on Patsy Cline's Walking After Midnight, Stonewall Jackson’s Waterloo, the Louvin Brothers’ Cash on the Barrelhead, Lefty Frizzell’s Long Black Veil and Loretta Lynn’s Blue Kentucky Girl, pretty much a Theme Time Radio Hour roll call. And of course, as one of the Driftin' Cowboys, Helms was featured on over 100 Hank Williams recordings, including 10 of the 11 Hank Williams #1 hits. 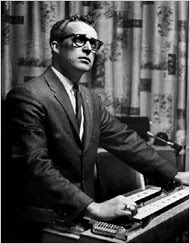 Helms played with Williams on his last recording session in late 19 and 52, a session that eventually produced Kaw-Liga, Take These Chains From My Heart, and Your Cheatin’ Heart. Helms was the last of the Driftin' Cowboys, and was working up until his death. In fact, according to his obituary in the New York Times, at the time of his death Helms was working with Vince Gill on an album of uncompleted Hank Williams songs. Emphasis mine, as I suspect that this is the so-called "Briefcase Songs" album that we discussed back in Episode 48 - That Fateful Day: The Lost Songs of Hank Williams. and adds Vince Gill to the roster of artists thought to be on that album, including Norah Jones, Jack White, Willie Nelson and Bob Dylan. The full NY Times obituary on Helms can be found here and is well worth the read. Our title is taken from the phrase Helms used in concert to introduce a medley of Hank Williams' tunes... "Now, close your eyes and think of Hank."